Are you an avid golfer that loves playing the game? Or are you a novice just beginning to appreciate the finer points of golf? It really doesn’t matter where you stand – you can be a professional, an intermediate, or a complete beginner – you’re still going to need top-quality clubs if you’re ever going to excel at this game. You want to be the best, right? You want to impress your family members and friends and shave a few strokes off of your score, correct? Having top-quality irons in your golf bag while you’re out on the links is definitely the best way to make this dream a reality. Do you have a preference for irons? You may not realize the value of these clubs just yet, but Cleveland Irons are definitely some of the best that money can buy. In fact, they are so good that I wanted to take some time to review them for you today. 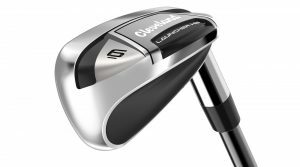 By the time we’re through, you’ll know everything you ever wanted to know about Cleveland irons and you’ll discover many reasons why you should buy these fantastic clubs sooner rather than later. With that said, we’ll review some of the top Cleveland golf irons today. So pay close attention and learn about these phenomenal clubs that will definitely help improve your overall game manufactured by Cleveland Golf. 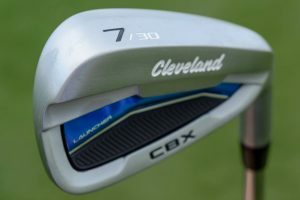 To put it bluntly, those who design these clubs at Cleveland golf have taken it upon themselves to create amazing irons that are much better for the average golfer. They have lots of knowledge and experience creating some of the top wedges that money can buy, and they’ve use this knowledge to deliver their CBX Irons, which are amazing because you’ll get reasonably priced clubs that will help you improve control, distance, and forgiveness on your shots. First off, when you look at these irons in the bag you’ll see the simple Cleveland branding atop a clean silhouette. The angles of the cavity back are filled with a metallic blue strip and enriched black polymer. You can see the loft and iron number marked clearly on the sole of each club. Next, you’ll truly appreciate the feel and sound of these clubs. When you strike the ball using launcher CBX Irons, you’ll feel like you got a very solid, crisp hit on the ball. The great thing is that has an expanded sweet spot, which Cleveland worked hard to develop when they created their Feel Balancing Technology. Ultimately, the change consists of a micro cavity that was specifically designed to make the center of gravity a lot closer to the center of the face of the club. You’ll hear a pleasant thwack every time you hit the ball in the sweet spot. Probably more important than anything else, the overall performance with these irons is going to make you very happy indeed. From the very first swing, you’ll feel like you’re striking the ball effortlessly every time you swing one of these clubs. They really did a great job naming these clubs, because using the word “launched” was definitely the ideal choice because the ball really has the ability to launch directly off of the clubface and go soaring into the air. Let’s not forget about the forgiveness. Even if you happen to lose distance on some of your mishits, you’re not going to find yourself in serious trouble because the forgiveness is amazing. You’ll appreciate this impressive ability the next time you’re having a bad day and your score really doesn’t end up reflecting it because these irons are so forgiving. All in all, the Launcher CBX Irons are perfect for recreational golfers looking to improve their distance, control, and accuracy. 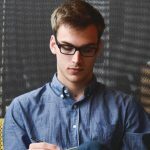 And let’s not forget about the forgiveness that we’ve just talked about, because it’s great in the improved control and stability will certainly help you increase your score overall. The beauty of these hybrid style Launcher HB Irons is that they were specifically designed with straight shots, high shots, and forgiveness in mind. The progressive shaping also makes this one of the best, most forgiving offerings from Cleveland golf. And the straight, high ball flights are going to make it very easy to improve your game overall, so you’re going to absolutely love these irons from the very beginning. As far as looks are concerned, this may be a little bit of a tough pill to swallow if you’ve been golfing for any serious amount of time. Many of today’s golfers take a look at these clubs and wonder if it’s something they’ll be able to get used to. The truth is, most of these golfers respond reflexively to the image of these clubs because they were expecting to see something different, and they might have been thrown off guard by the look of the Launcher HB Irons. That doesn’t mean they are unattractive by any stretch of the imagination. It just means they look very different than the typical irons that you’re used to seeing. At the end of the day, these clubs have a very nice finish, clean lines on the sole, and a large surface. The colors also look really nice, so overall they are quite attractive even if they do look different than typical irons from other companies. Since these clubs have hollow bodies, you could expect to hear a deep sounding thwack whenever the ball is impacted in the cavity back irons. Plus, the clubs have acoustic sounds because the designer added ribs in the chamber to give it a different sound than your typical hybrid club. Your hands and ears do not feel lots of feedback with these clubs, and they are very stable and solid when you swing them. They feel well-balanced when swung, so you’ll definitely like the feel offered by these irons. The performance is truly amazing. You’ll be able to improve your ball speed, hit it higher, and hit it much farther. And as we’ve mentioned a number of different times, there’s also plenty of forgiveness as well, so you’re definitely going to improve your game overall with irons like these. Cleveland Golf has really outdone themselves with the creation of their stylish yet forgiving Cleveland Golf Irons. We highly recommend picking up either set of these irons at your earliest convenience. Just pay attention to the descriptions and choose the option that makes the most sense to help you improve your complete golf game. Don’t miss the Cleveland Wedges Reviews here.